It is often confusing hearing about different counselling models that counsellor’s use – Person-centred, psychodynamic, Transactional Analyse, integrative counselling etc. Which one will work and how do you choose? I personally feel each model has its own value and can work for all types of different problems. The important part is that the counsellor is committed to their counselling model and their values. I am an integrative counsellor. Often my clients say to me that initially whether they feel heard and connected to the counsellor helps them decide whether they continue with the counselling. 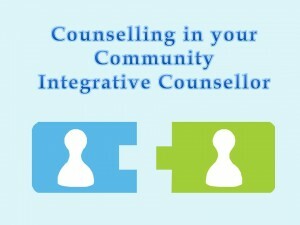 So what is integrative counselling? My counselling approach is based upon an integrative counselling approach. This in itself can seem can seem confusing as each integrative counsellor will combine different models and approaches. My integrative counselling approach is primarily a being non-directive, and based upon the person centred approach. I believe counselling enables individuals to reflect upon themselves and how they act in the outside world. In a safe environment clients can choose which issue they wish to work on and to take the lead in exploring their problem. Through this approach they are able to examine different points of views leading them to finding their own solutions. Throughout a counselling relationship the client has freedom to be ‘themselves’ and maintain their true inner self. My role is to empower the client to trust in their own wisdom rather than seek advice or answers from the counsellor. My non-directive approach draws upon the work of Carl Rogers, who identified three ‘core conditions’ (congruence, unconditional positive regard and empathy), support and encourage personal growth of the client in the therapy (Rogers, 1961). I believe that honesty, non-judgemental and acceptance, and empathy of the counsellor will help empower the client to feel safe and accepted, so that they can trust in their own wisdom to bring about change in their life. However, once I have established a trusting relationship and the client is ready for change, it is often necessary for me to use different strategies to facilitate this change. Some clients are unable to bring about change on their own and require focus and attention to get there. I therefore go through a process of integrating a collection of different counselling tools and counselling skills to help facilitate change. The tools I use are dependent on the issues the client brings, their actions and whether the approach will be suitable for them. The tools I use are primarily driven by solution focused therapy, narrative therapy and creative therapy. Methods I use are role plays, self-talk, problem solving and assisting them to change their thinking. I find these tools help the clients to identify their irrational and self-defeating thoughts, feelings and behaviours. However, if a client is unable to express themselves through words or are stuck, I use narrative therapy as this facilities the awareness and expression of feelings through the written word. If clients do not like writing, I will use other creative methods such as drawings and timelines for clients to tell their story. Hazel Hill is a counsellor from Sheffield who offers counselling in Sheffield or online. This entry was posted in counselling, counsellor, Personal perspective and tagged counselling skills, counselling tool, integrative counselling, Sheffield counselling on September 15, 2014 by Hazel Hill.